Logins this hour: 3763 ? Organize any number of physician and residency schedules into a single online display. See who's on call, and send secure texts and alpha-numeric pages right from the list. Each department builds its own schedule. Amion fields vacation requests, fills in assignments, and checks for rule violations and balance. Update schedules at any time and revisions flow straight to the site-wide on-call list. Page operators manage last-minute changes using switchboard tools. Designated staff can access cell and home numbers and logs of all text messages sent through Amion. The master on-call sheet links to full calendars for every group or residency. Staff can view personal schedules months ahead and proof schedules long before assignments appear on a daily on-call roster. Amion reduces cases where providers don't respond to calls because coverage changes weren't relayed to telecom. Everyone works off the same schedule. Amion reduces call volume via the switchboard and reduces the time spent creating, verifying, and distributing schedules. Amion is easy to implement and fits any budget. 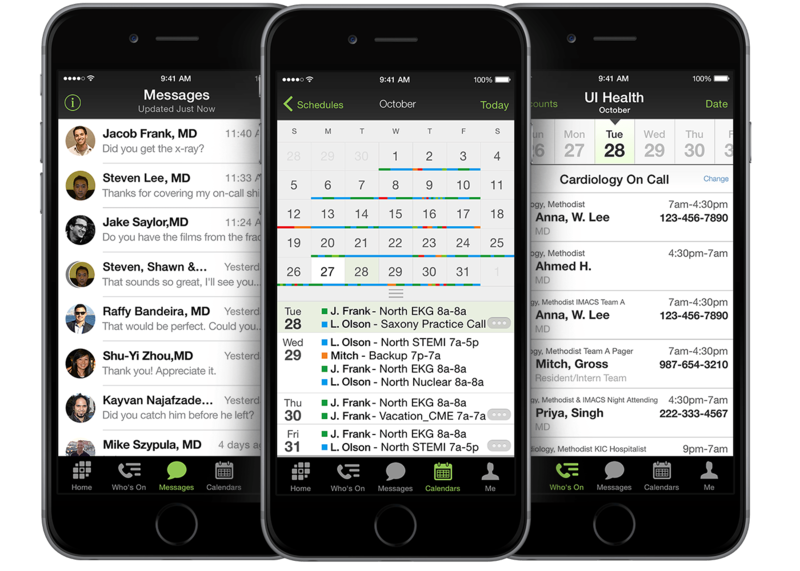 Explore a sample hospital-wide schedule and learn about the Amion Mobile App! If interested in a live web-demo or have any questions, please contact Amion support. Here we discuss enterprises. This page describes hospitals.